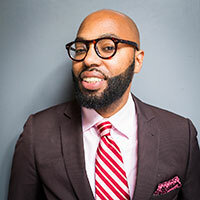 Christopher Emdin is an associate professor in the Department of Mathematics, Science, and Technology at Teachers College, Columbia University, where he also serves as associate director of the Institute for Urban and Minority Education. The creator of the #HipHopEd social media movement and Science Genius B.A.T.T.L.E.S., Emdin was named the 2015 Multicultural Educator of the Year by the National Association of Multicultural Educators and has been honored as a STEM Access Champion of Change by the White House. In addition to teaching, he serves as a Minorities in Energy Ambassador for the US Department of Energy.